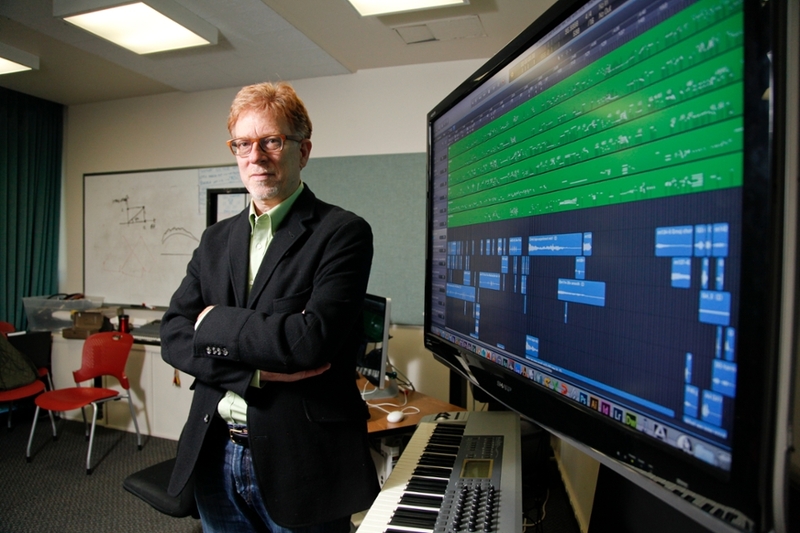 Eric Chasalow, an award-winning composer and the Irving Fine Professor of Music, was appointed dean of the Graduate School of Arts and Sciences in 2014. Since joining the Brandeis faculty in 1990, Chasalow has directed the internationally recognized Brandeis Electro-Acoustic Music Studio (BEAMS), teaching undergraduate and graduate courses in theory, composition and electronic music. From 1996 to 2002, he chaired the Music Department and in 2012 was elected chair of the Faculty Senate. In that position he served the university as a member of both the Strategic Planning Steering Committee and Provost’s University Advisory Committee. During a prior term on the senate, he helped draft faculty handbook revisions that extended faculty rights and privileges previously afforded only to faculty within the tenure system to contract faculty. Since becoming dean, he has worked to advance the student experience in all dimensions, including new initiatives to integrate student academic and professional pathways. In 2016, he launched the DEIS program, which has been successful in bringing first generation and underrepresented students to masters programs at Brandeis where they are closely mentored into top PhD programs around the country. Chasalow has received many honors and awards, including: the John Simon Guggenheim Fellowship, a Koussevitzky Music Foundation Commission, an Aaron Copland Award, two awards from the Fromm Foundation at Harvard, and two awards from the American Academy of Arts & Letters. Recent ensemble commissions have come from MusicaTrieze (Marseille), the Network For New Music (Philadelphia), The Portland Chamber Music Festival, a Chamber Music America Commission for New York New Music Ensemble, and a Barlow Endowment commission for Talea Ensemble. Chasalow is a member of ASCAP, the National Academy of Recording Arts and Sciences, the Electronic Music Foundation, the International Computer Music Association and the Society for Electro-Acoustic Music in the United States. He is also recent past president and a board member of the Composers Conference. The Eric Chasalow collection in the Library of Congress was established in 2009. Chasalow is the AGS representative from Brandeis to the American Association of Universities and the Council of Graduate Schools. He has lectured extensively with invitations from Dartmouth, Harvard, Columbia, Northwestern, Stanford, Brown, UC Berkeley, University of Pennsylvania, Bowdoin College, Mannes School of Music, Bates College, and the California Institute of the Arts among others. During the 2003-04 academic year, he was Visiting Professor of Music at Harvard University, directing the Harvard Electronic Music Studio. Chasalow earned the BA from Bates College, and an MA and DMA from Columbia University.